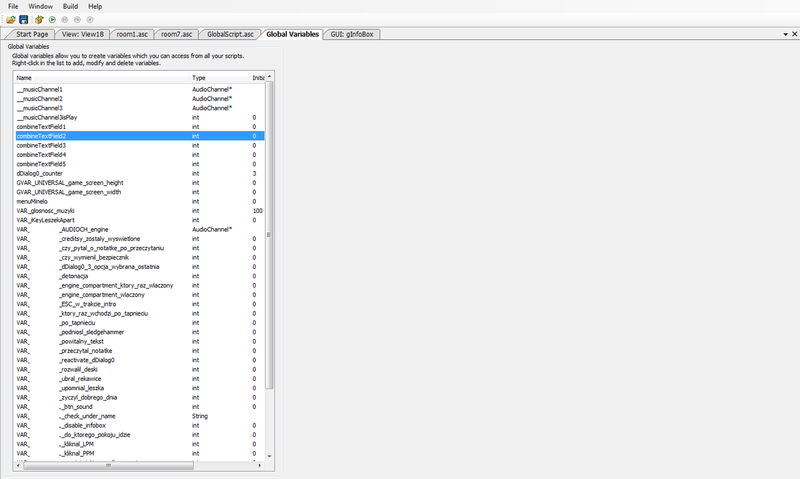 I think it would be great if in the future AGS version there was an option of organizing global variables into folders (classic tree view). Lets say the project has for instance tens of variables. Lets assume they were all created in some strict nomenclature model. Even then from a certain moment their readability begins to be difficult. If you wanna do something - you seek for solution, if you don't want to - you seek for a reason. If you use script variables, you can create script folders and modules to organize them. How about the solution You've mentioned - what exactly are you talking about?